I’m just kidding��. I know too damn expensive(just an arm and 2 legs). I don’t have a problem with the black boxes, although not very pretty, they hold in heat and humidity. The only problem I had with it was the size per gecko. Have you ever considered building them yourself? There’s several you tube videos on building enclosures. We paid to get ours built but honestly they were not very pretty either. I’ve seen a few websites that sell reptile cages, but can’t recall the names. Google to see what you can find. Now that second link im gonna dig thru when i get home! How are these enclosures ventilated? Pretty easy to see they have holes in the doors, so might not be ideal for them pesky crickets. @Sg612 man i wish i found this site a month ago.. i looked and looked and compared and compared and i thought what i got was gonna be "perfect" well hopefully i can sell it at a reptile show or craigslist or offerup or something or maybe i'll just use it for hatchlings or small juveniles.. bleh. Ideal ventilation is low on the cool end and high on the warm end. Excellent, Geopard Lecko! GU has been waiting for you! : We gotta be honest. 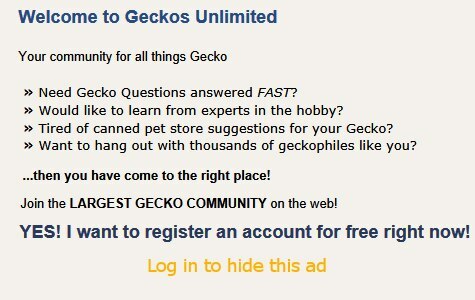 After all it's for the good of the geckos and your future customers! Last edited by Elizabeth Freer; 02-22-2019 at 08:41 PM. Hmmm seems like there are some horrible reviews on the boamaster guy.. long waits, poor communication, poor build quality.. there are a few good reviews here and there but im not sure its worth the trouble.. So now im back on the hunt, looking at the AP cages, they have quick ship items i could get two of these for not a heck of alot more then i paid for the one boaphile..
annnnnnnnnd now im on homedepot looking at building materials.. lol.. my wife told me she didnt want me to build anything an thats why i got the boaphile but im a doit yourselfer so we'll see what happens here..